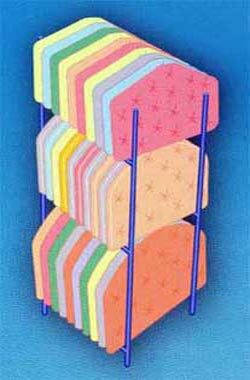 A 3 tier sofa display stand that holds 3 x 2, 3 and 4 seater sofas. 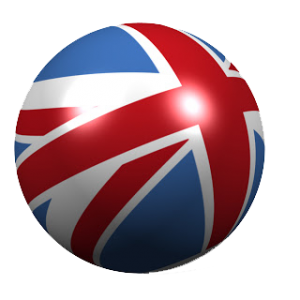 The castors are an optional extra at a cost of £15 plus vat. The stand comes completly flat when not in use for easy storage. The sofa stands come black as standard but can be made to any colour requirements. 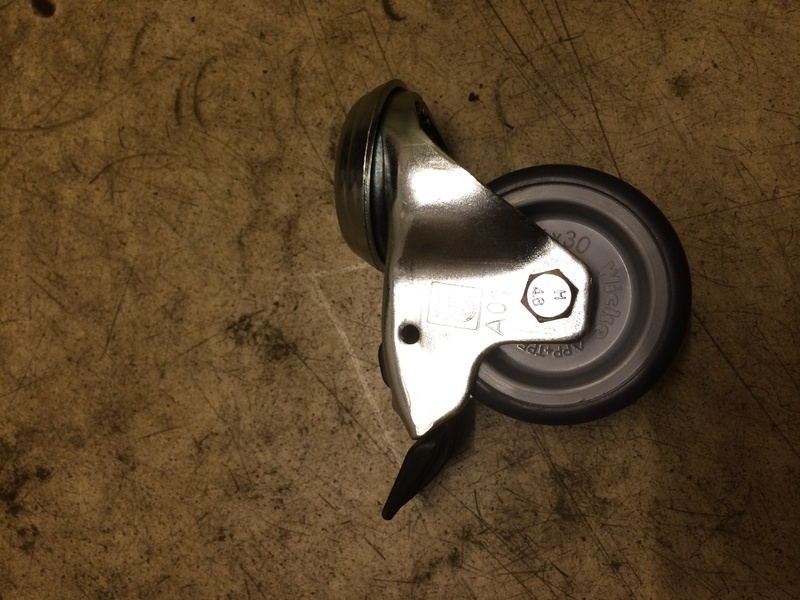 The castors are fitted with brakes. 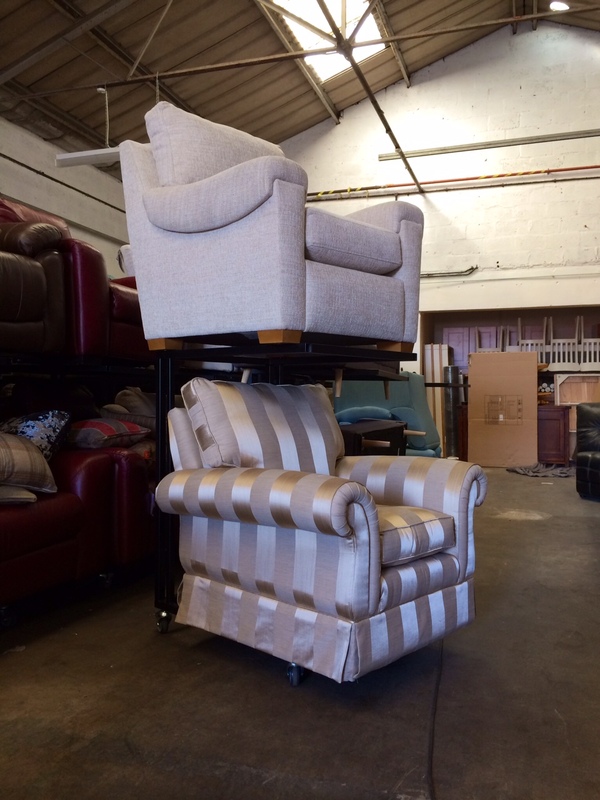 Armchair stand on wheels for displaying 2 x 1 seat armchairs. The stand is mounted on 4 x 75mm braked castors for ease of movement. 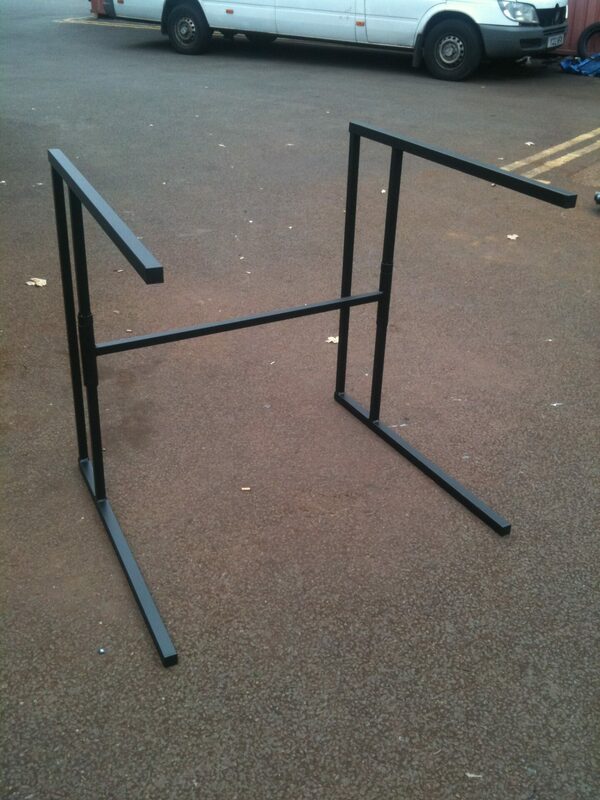 The stand is collapsible put can be made rigid if required please ask. 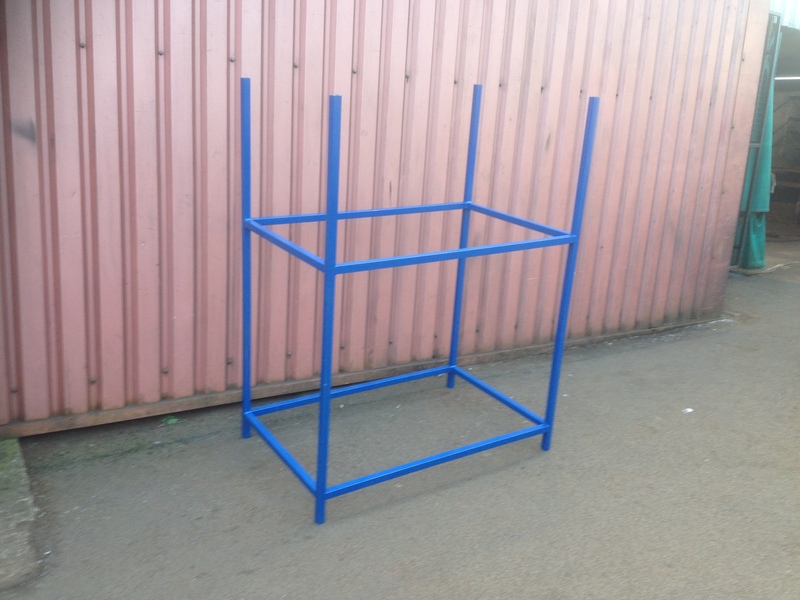 A 2 tier bed / sofa display stand that holds 2 x single beds or 2, 3 and 4 seater sofas. The stand has an angled top level to advertise the higher bed sofa better with stops on the end to stop them sliding off. The stand folds completly flat when not in use for easy storage. 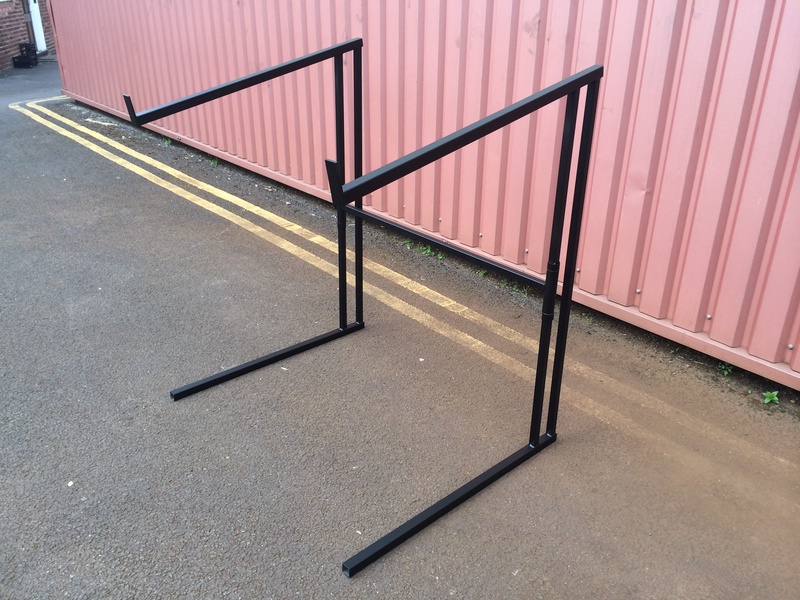 The bed / sofa stands come black as standard but can be made to any colour requirements. A headboard stand for displaying single double and king size headboards simply. 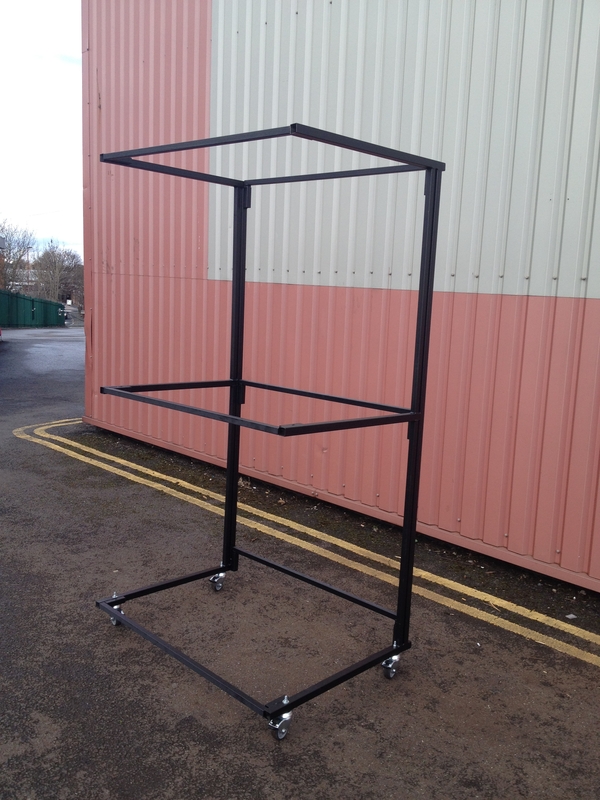 A 2 tier sofa display stand that holds 2 x 2, 3 and 4 seater sofas. 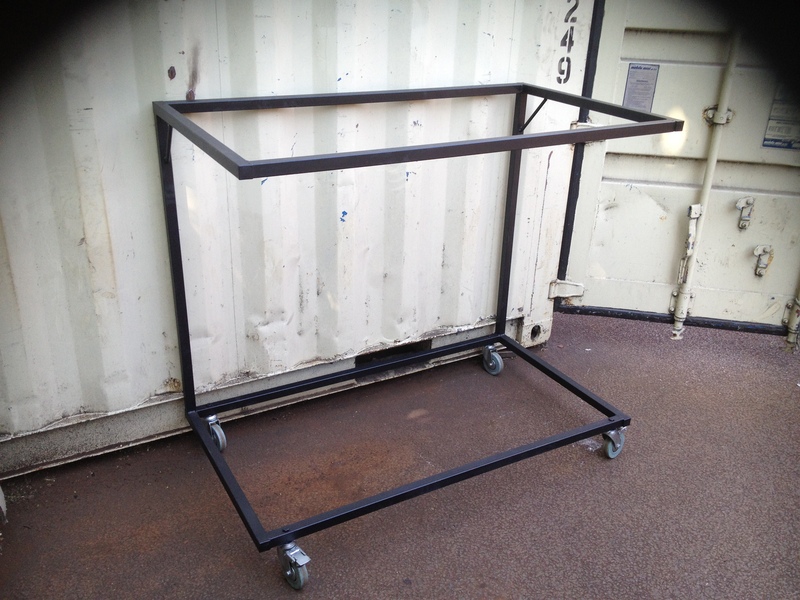 Sofa stand on wheels for displaying 2 x 2, 3 and 4 seater sofas. The stand breaks down flatpack when not in use but can be made rigid if required please ask.